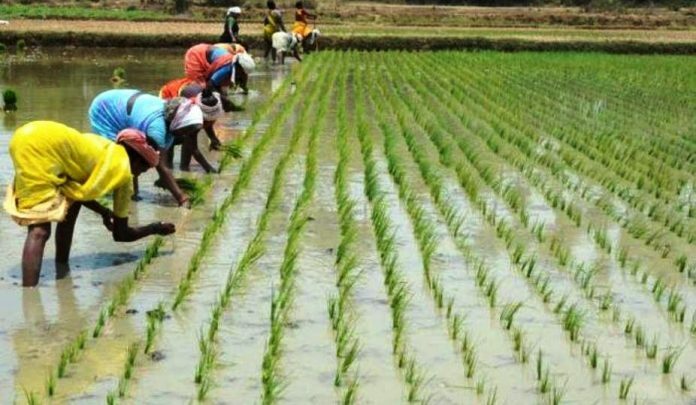 Concerning all the sectors of the Ghanaian economy, agriculture appears to be the only established economic sector liable of ensuring individual and nationwide growth. From the year 1960, Ghana had a population of 6.7 million people, it increased to 24.51 after 4 decades and finally to 28.21 million people in 2016. To promote sustainable agriculture and thriving agribusiness through research and technological development, effective extension and other support services to farmers, processors and traders for improved livelihood. After the attainment of independence, the first president of Ghana, Dr.Kwame Nkrumah attempted to use Agriculture as the anchor for development of the other sectors of the economy including the industrial sector and to contribute towards the general growth of the entire nation. This is because agriculture has the capability of reducing poverty as it creates employment to lots of individuals. Agriculture in Ghana consist of variety of agriculture products that is sustaining the economy and provides employment on a formal and informal basis subsequently reducing disease as individuals would be fed on greenly fruits and vegetables produced here in the country rather than imported goods which are at times forced to ripe for the purpose of importation. Agriculture goods/ crops in Ghana include yams, grains, cocoa, rice, cassava, plantain, oil palms, kola nuts, timber and many others. The importance of agriculture can’t be under estimated in any way as it contributes towards employment. In the year 2013, it was recorded that employment from this sector alone contributed to 53.6%. This in effect helps to increase the yield of agriculture to boost local consumption and export, increased revenue and income for both the government and individual farmers. Reduction in imports because we will produce what we ought to have imported. For example, the country currently imports rice worth US$600m annually, but frankly, we could develop our arable lands, motivate our farmers by educating them on the safest method to cultivate crops, giving them tax incentives on crops purchased and making fertilizers, weedicides and pesticides available for use at a reduced or no cost at all. If proper mechanisms are adopted, it would help streamline greater yield of total agriculture production and help curb importation of crops including tomatoes, rice, wheat and poultry produce. Agriculture contributes immensely to our GDP and specifically employs a large number of people. It currently appears no proper attention is given to the sector; the reason for the current unemployment rate, Balance of Payments deficits etc. COCOBOD was established in 1947 to provide hope to the Ghanaian economy but sadly as it stands now, every year COCOBOD with support of the government, enter into a contract with banks and multinational companies to syndicate for loans, usually US$2billion to buy cocoa which it sells on the world market. This is a clear indication that COCOBOD has failed entirely to help cocoa farmers by not even having a sinking fund to keep some money from the huge profits it makes for this purpose rather than running to international lenders annually. All this years that COCOBOD has being in this buy and sell business, it has not attempted in any way to cultivate a single acreage of cocoa farm. And anytime syndication loans are contracted, it affects the local currency by making it quite unstable as far as the dollar is concerned. Countries which have sustained their economy with agriculture did/doing so by employing modernized mechanisms towards plowing the land to make the agriculture land fertile enough before cultivation takes place. And these countries have done so with all manner of seriousness and readiness. They understand the contributions of agriculture towards building keys sectors of the economy and national building and have perhaps given agriculture the needed attention and commitment. Countries that have/are subsequently improved/improving their economy with agricultural produce includes the United States, China, India and Russia and are doing so with cereal and vegetable crops. Am aware my readers won’t be perplexed that China tops as the world’s leader in terms of rice production and supply. Ghana needs to contrite for the negative attitude we’ve exhibited on the agriculture sector and reinvigorate the sector to how our first president started it and envisaged it to be decades after and to annihilate being careless and the too much subsistence form of farming and encourage middle scale and large scale farming that would contribute immensely to total yield of agriculture produce to provide more food, employment and help reduce importation. God lives to glorify his people.